The Washington Post calls it “the gig economy.” But to a vast majority, it’s still better known by the shadow term used for it since the 1950s — the side hustle. You know the side hustle. It’s dipped in perseverance, desperation and guile. Back in the day, it came with dashes of occasional shady underhandedness and double-dealing mixed in. But today, the side hustle — that extra bit of business done to make ends meet when the Monday-through-Friday-9-to-5 pay check doesn’t cover the monthly — isn’t so much a sideline enterprise anymore. For many, the side hustle is as vital as a regular day job to not only paying the bills, but actually improving their economic station. Today, 86 percent of Americans say they earn extra money from a side hustle. About 1 in 4 say that money comes from the economy that’s grown from digital platforms. Millennials in particular have found a way to turn their smartphones into moneymaking machines, with many even working two or more digitally-based gigs in lieu of full time work with one employer. With all that money on the table out there, let’s take a look at the pros and cons of some of the most popular — and in some cases, most profitable — side hustles. Everybody needs to get places…and if you’ve got a car, ride-sharing apps like Uber and Lyft can keep your backseat consistently filled with paying riders. And there’s definitely some money to be made. According to Fortune, drivers average about $350 to $400 a week. But yeah… it’s not always a license to print money. Let’s break down the pluses and minuses. Pros: Hey, you’re on the open road! It’s freedom, baby! You work when you want to, you meet new and interesting people and get to see virtually every part of town. You can even focus your driving hours during surge times and peak event periods where you can really maximize your profits. And if you happen to land the NFL player willing to drop a grand if you’ll take him 500 miles to a different state… JACKPOT! Cons: Of course, you may not get the wealthy NFL player. You may get the vomiting partier. Or worse! The passenger roulette is just the luck of the draw. Meanwhile, your vehicle takes on a host of extra travel miles and you run the risk of facing insurance company chicanery if your policy needs to switch from personal to commercial coverage. As for benefits like health insurance… uh, no. Assuming you don’t live in a one-bedroom loft, renting out an extra room in your house or apartment to humble travelers via Airbnb can also net you some quick cash. In fact, it can be a nice handful of quick cash: it’s the most lucrative of the app economies that Fortune tracks, bringing frequent renters over $900 a week on average. Pros: If you’ve got a mortgage (and especially if you live somewhere else and can rent out the whole place), Airbnb travelers can help put a very nice dent in that monthly house payment. If you do live there, you’ll also have the privilege of meeting cool people from all over the world, developing your interpersonal skills and even helping your guests to some local flair by hosting nights on the town with a true local (that’s you!). If you’re a renter, you’ve got the benefit of rental arbitrage: the revenue potential of your apartment is significantly more than your monthly rent. Rent it out for two weeks and you might just cover the whole month. Meanwhile, many areas (like New York state) are getting downright unfriendly to Airbnb entrepreneurs and they’re fighting back with appropriately unfriendly new laws. And, as you know with any roommates or houseguests, other people’s live can start becoming a serious demand on your time and attention as well. Some people don’t need to go anywhere, they just need you to bring them their stuff as soon as humanly possible. Whether it’s a meal from a local eatery, groceries from the corner market or basically any commercial good small enough to fit into a mid-sized vehicle, you can make some extra money as a digital courier, running here and there, brightening the day of happy consumers. Pros: Again, you’re dealing with a lot of free time and schedules tailored to your particular needs. As with passenger services, you can again take advantage of higher “blitz” fares during holiday, weekends or heavy traffic times. Plus, there’s never a shortage of orders because with the variety of items you can cart to someone’s front door, the possibilities are virtually endless. Cons: But how much will you make? Well… not as much as with hosting or ride-sharing. The average Postmates driver takes home less than $100 a week. Also as with passenger drivers, your take-home pay can often depend heavily on tips, so if a customer doesn’t come through, you may end up with precious little for your time and effort. The drop-offs themselves can also become a bigger headache than you realize, especially since you don’t know your destination before picking up your order. And if you’ve got the wrong item? Oh boy… problem city. With the explosion of Amazon, eBay and other online retailers, it’s never been easier to stock and sell a product without accruing all the overhead costs brick and mortar stores face. You can even jump start this home entrepreneur idea with training from courses like this Start a Side Business Bundle (now available for any price you want to pay from TNW Deals). With over 38 hours of instructional content, you can learn how to locate, import and market products while cultivating a viable growing business completely online. From selling through eBay, to opening up your own Amazon storefront to even nurturing a niche creative market through Etsy, you’ll learn how to start selling immediately with the accompanying business plan to make your side hustle pay dividends. Pros: Like we said, the low cost of listing via all those virtual commerce hubs helps to keep your expenses modest. Plus, it’s not like you’re heading out completely on your own: the built-in communities frequenting Etsy and Amazon are like a steady flow of 24/7 traffic right by your store window. 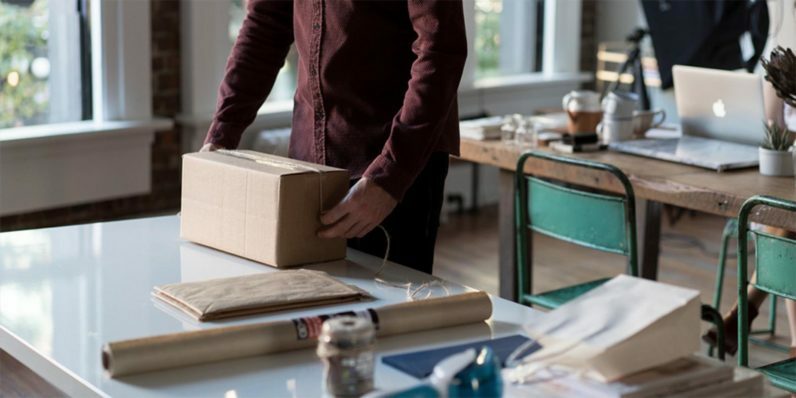 Your training will help you scale up at just the right pace for your growth, while Amazon’s own internal regiments will help ease any shipping, returns and customer service hiccups. Cons: If you don’t follow your course details or just don’t have a head for marketing your goods, even the best products can get lost in the internet shuffle. And don’t forget: as valuable a partner as Amazon can be in growing your business, they can also be your competitor, depending on your product. And after cutting in Amazon for their share of your sales, you may find the profitability window is too small to make the kind of side hustle killing you’d hoped. Despite those concerns, there’s still a fantastic amount of valuable information in the 10-course package, an over $1,800 value you can get at any price that matches your fellow buyers.